The Placer County Wine Trail is a rustic wine escape with a diverse collection of 20 wineries in the Auburn, Lincoln, Loomis, Newcastle, Rocklin and neighboring Grass Valley. Winemakers are eager to share the knowledge and passion of their craft and award-winning appellation with all levels of wine enthusiasts. Fall in love with the beauty and bounty with a trip to The Placer County Wine Trail with Baja Limo. Most Placer County wineries are family-owned and operated, have small vineyards and the winemakers themselves are part of the charm, making Placer County a newly sought-after destination for a more personalized and unique wine-tasting experience. There are several wineries to choose from but some of our favorites include Wise Villa in Lincoln, Mt. Vernon in Auburn, Lone Buffalo in Auburn and Naggiar in Grass Valley. Wise Villa Winery located in Lincoln is an expansive winery estate and was named Winery of the Year by the California State Fair during a prestigious ceremony on the steps of the State Capital. Wise Villa offers a bistro menu and an event venue, they often feature a dinner and live music event which has become expansively popular. Their gourmet menu offers a fresh culinary paring to their wide variety of wines. Mt. Vernon Winery in Auburn is the largest and most award winning winery in Placer County with a spectacular variety of hand-crafted wines you are sure to enjoy! The tasting room is a beautifully restored old 1950s milk house with elegant gardens that overlook the lush vineyards. Mt. Vernon occasionally host cave dinner events and summer concerts as well. This beautiful estate is a must when traveling the Placer County Wine Trail. Lone Buffalo Winery is located on an historic twelve-acre ranch in the North Auburn area of the Placer County Wine Trail. At Lone Buffalo you have the opportunity to meet the winemaker, view the vineyard right from the tasting room and enjoy a picnic on their patio. Located in neighboring Grass Valley is Naggiar Vineyards which offers a bistro menu along with their expansive tasting room and a gift shop. Naggiar Vineyards boasts a variety of delectable small plates and desserts to complement their wines, enjoy lunch or dinner on the patio or in the private dining room overlooking their pristine estate vineyards. There are also many fine dining and tavern restaurant options to choose from in the quaint downtown Auburn area. Carpe Vino is a nice fine dining option in downtown Auburn with an expansive award winning wine menu complimented with a dinner and desert menu produced exclusively from foods purchased at the Auburn Farmer’s Market. Bootleggers Old Town Tavern & Grill features a four-star, award winning gourmet food menu featuring locally sustainable products and features fresh, local produce, USDA choice meats and daily seafood specials. Auburn Alehouse, an historic structure features an American menu coupled with the fine art of crafting beer and whiskey. Auburn Alehouse features a breakfast, lunch and dinner menu and live music on occasion. Combine your wine tour in Placer County with a visit to one of these downtown selections to make for an unforgettable tour! Sit back and relax as you traverse through endless romantic vines and breathtaking rolling hills to discover the hidden gems of California’s wine country. Baja Limo will guide you through the best wine regions throughout Northern California and give you the experience of a lifetime. 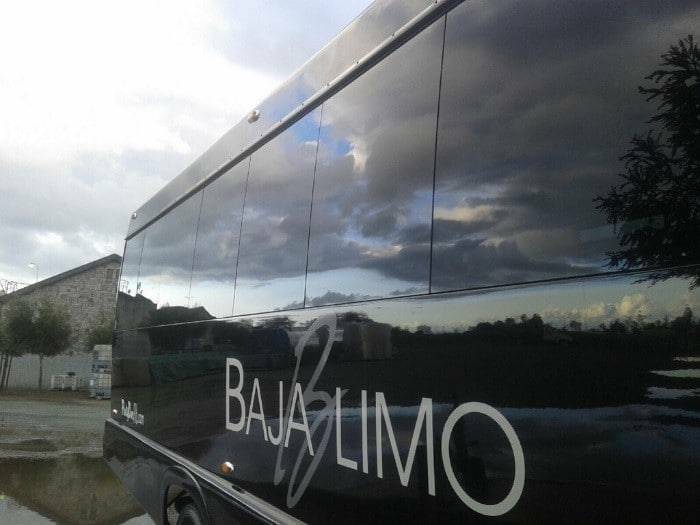 Since 1985, Baja Limo has catered wine tours that are unique to each client’s taste and excite the interest of both the wine connoisseur and the first-time toasters. Choose your preferred destinations or have our Wine Tour Specialists coordinate all your tasting appointments and dining options. Our experienced chauffeurs are highly trained in navigating through the tricky roads of Placer Counties wine region and will also serve as your guide when it comes to each winery’s tasting protocols. All you have to do is sit back, enjoy the beautiful landscapes and experience the best wines in California.